As we wrap up our Pen Pal contest, (thanks again to everyone who has written to us!!) 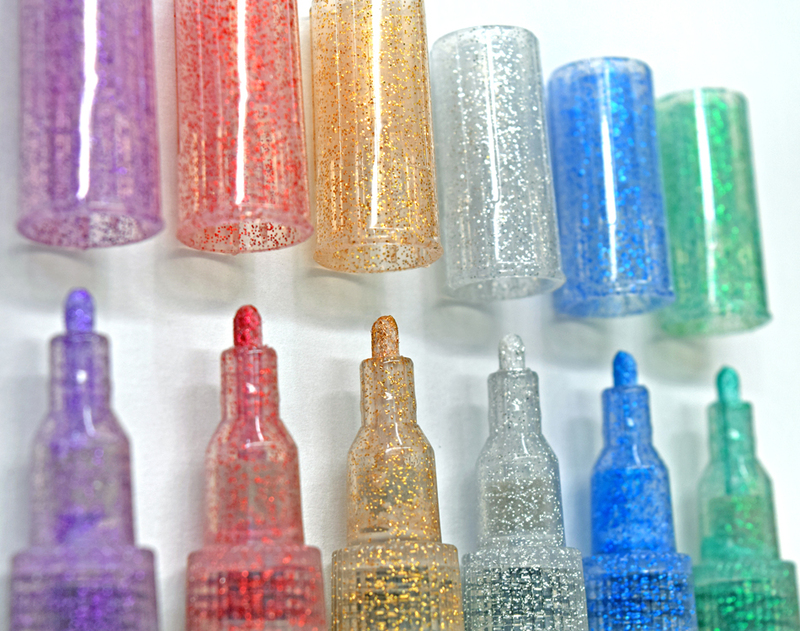 we’ve noticed a TON of folks that love to use glitter pens and markers on their envelopes, cards, and letters… as well as mentioning to us that these shimmering tools are their favorite to use in journals, coloring books, scrapbooks, and other paper & fabric crafts. So we decided to do a little highlight blog that gives you a closer look at different types of glitter pens we have here at Marker Supply! 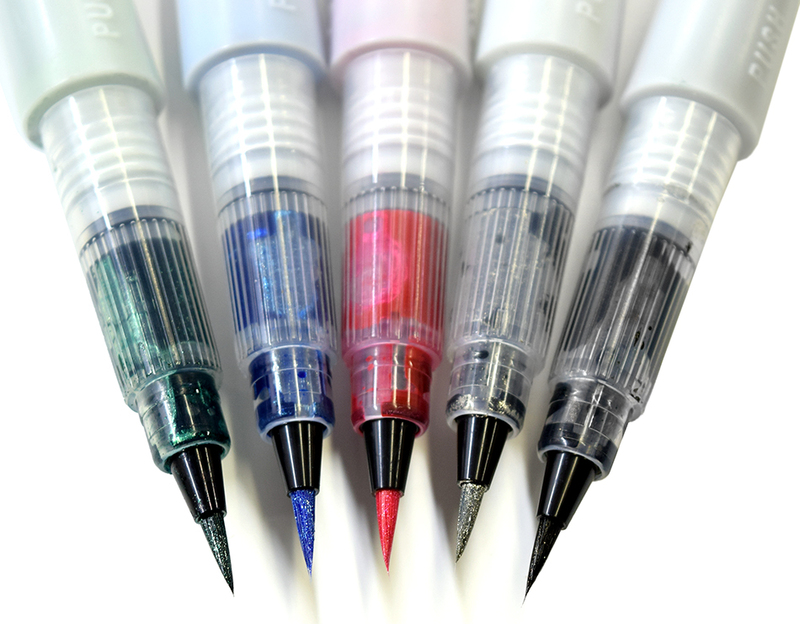 The Wink of Stella markers have become very well known for their ability to add a fun glittery look along with their color. Water-based ink is safe for kids to use too! They are available in a variety of colors both in a sleek marker with a fine plastic tip– great for writing and outlining, and also in a bigger marker with a squeezable body and bristle brush tip– for brush lettering styles and coloring larger areas and backgrounds quickly. 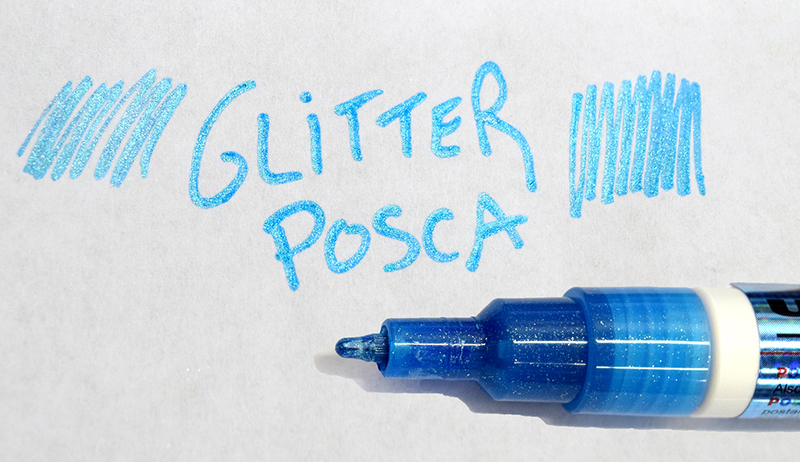 The same great Posca paint you love- only these pens have glitter particles mixed in too! 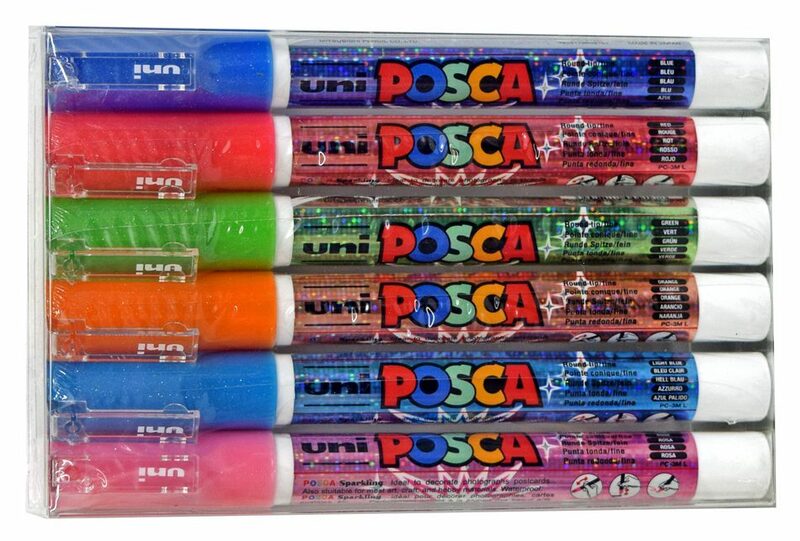 Posca markers use an acrylic type water-based paint (different from the other pens that use an INK) that works on a million surfaces- from paper, to chalkboards, to plastic, to glass. Plus, it washes off non-porous surfaces with standard household cleaner- so it’s great for temporarily decorating things like mirrors and windows! 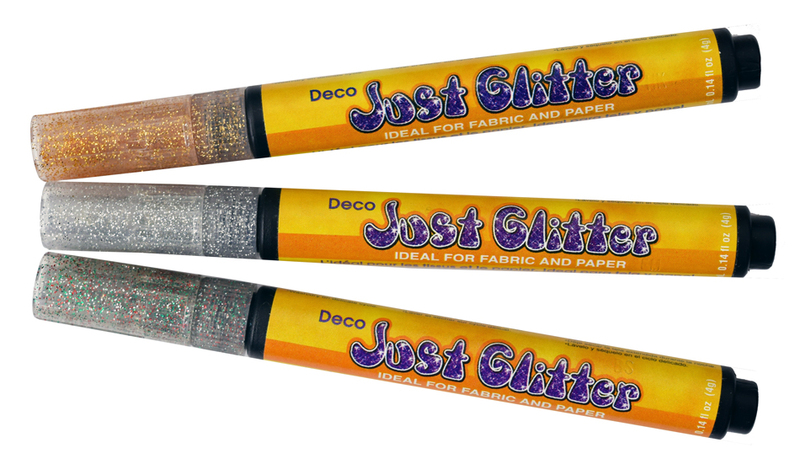 The Marvy Deco Just Glitter pens are exactly that.. just glitter! 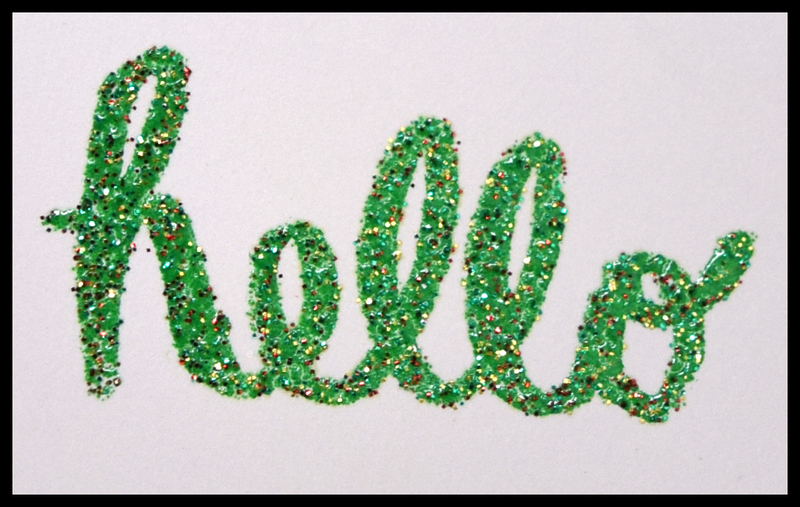 For when you want to add some sparkle to paper OR fabric crafts! 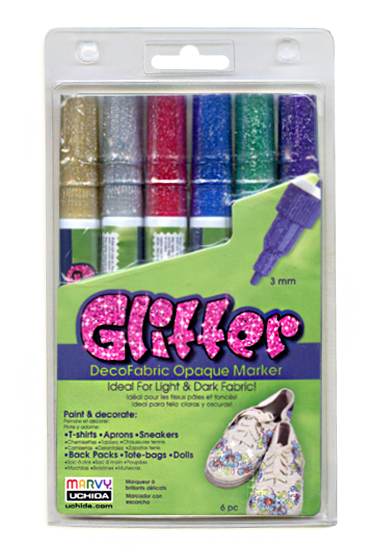 Find these markers with gold, silver, or multicolor glitter- a mix of red, green, and silver. The Marvy Deco Just Glitter Premium markers have the same properties (no color in the paint, just colored glitter) but are available in 6 sparkling colors! The rounded bullet tips give you nice control over the amazing laydown of glittery color. Works great on light and dark surfaces. The Marvy Decofabric Glitter Markers have a 3mm fine valve-action tip so you can always access fresh paint to add some special shine to your clothes, backpacks and purses, shoes, hats, doilies and placemats- anything fabric, whether it’s light or dark! OTHER PENS TO USE FOR ADDING GLITTER.. If you like to use glittery embossing powders, check out the various embossing markers we carry- all featuring different tips that work great for lettering, adding details and borders, and more! 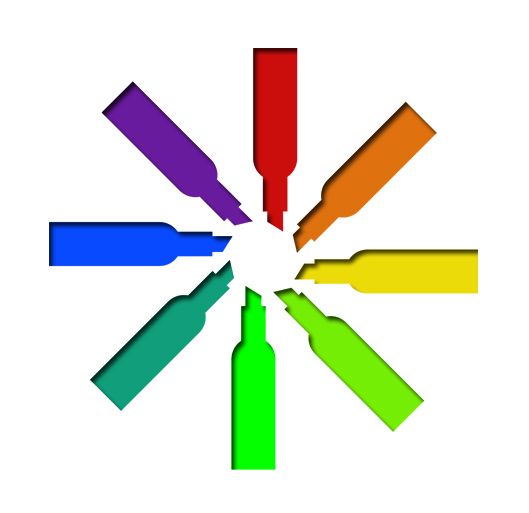 Embossing markers write with an almost invisible ink that is slightly adhesive. Embossing powder is sprinkled on top, sticking to the ink marks. When heated with a heat tool, the powder melts and fuses to the paper- leaving a slightly raised design that looks amazing! Sakura Quickie Glue comes in a roller ball style pen. It lets you add glue in the form of letters as you write, designs as you draw, or in teeny tiny spaces. 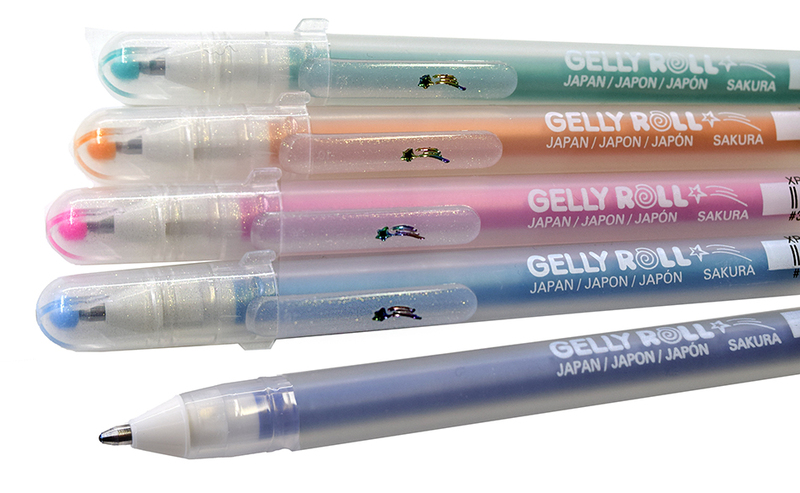 The super fine point makes sure that the glitter sticks only in the places you want it to! These pens also work well for adding other kinds of small papercraft embellishments like jewels or sequins. 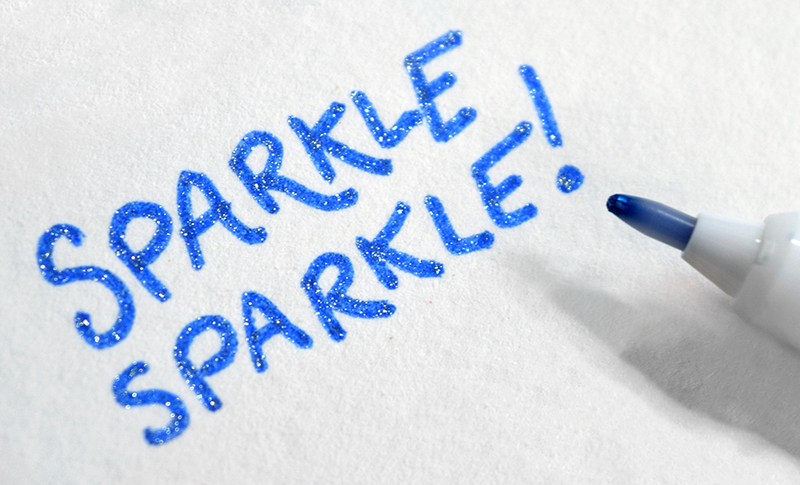 What’s your favorite type of glitter pen? Let us know, and feel free to share your sparkling projects too, on our social media pages!